The Best Philippines Education Blogs from thousands of Philippines Education Bloggers on the web using search and social metrics. Subscribe to these websites because they are actively working to educate, inspire, and empower their readers with frequent updates and high-quality information. Philippines Education newsletter is a comprehensive summary of the day's most important blog posts and news articles from the best Philippines Education websites on the web, and delivered to your email inbox each morning. To subscribe, simply provide us with your email address. About Blog A blog that tackles issues on basic education including early childhood education, the teaching profession, math and science education, medium of instruction, poverty, and the role of research and higher education. Philippines About Blog Be updated with the latest education news in the Philippines and abroad. Edukasyon.ph is a social enterprise in the education technology sector that connects students to education opportunities through an online platform and promotes career awareness among the Filipino youth. Facebook fans 213,510. Twitter followers 775. Quezon City About Blog The Official Website of Commission on Higher Education. The Commission on Higher Education catalyzes a Philippine higher education system that is locally responsive and globally competitive and serves as a force for lifelong learning, innovation, and social and cultural transformation. Facebook fans 78,171. Twitter followers 857,161. Philippines About Blog We are Mariel Uyquiengco and Sanne Unson, and early childhood education applied to parenting is our vocational passion. We believe that parents learn best from other parents, and we’re doing our part through The Learning Basket’s blog, shop and live parent education workshops. We believe that parents are qualified to teach their kids, whether as homeschoolers or afterschoolers. Connect with us and let’s inspire and empower each other to be our children’s first and best teacher! Facebook fans 13,795. Twitter followers 461. Philippines About Blog REX Book Store is a 21st Century Learning Solutions Provider in the Philippines, providing Books, Digital Solutions and more for the Filipino Whole Child. Facebook fans 54,475. Twitter followers 683. About Blog With the right education, your child can change the world. Get the lowdown on schools, the K-12 system, plus tips on helping kids with their homework! Facebook fans 748,118. Twitter followers n/a. Philippines About Blog Reedley International School (RIS) Manila is a young, private, non-sectarian, non-traditional, co-educational school in Libis, Quezon City, Manila, Philippines. Reedley develops its students to be Reesians at heart, in mind, and in spirit. Reedley continually assesses and improves its world-standard academic program. Reedley enlightens and equips parents to be advocates of the school’s values. Facebook fans 228,729. Twitter followers 1,171. Philippines About Blog Dreaming of a study abroad experience? Get information on schools, courses, and the way of life of students from all over the world. Everything you need to prepare for a memorable student life outside the Philippines is here. Facebook fans 213,509. Twitter followers 775. Quezon City, Philippines About Blog Browse through our trusted blog resources on digital arts, animation, multimedia arts, software engineering and related topics. Facebook fans 45,339. Twitter followers 1,020. About Blog Study mbbs in philippines - if you wish to study mbbs in abroad, then study mbbs in philippines because, it is mostly related to indian culture, philippines is best place to study md or mbbs in philippines. About Blog Just For Education is an Educational Consultancy serving exclusively for MBBS Aspirants and taking them to their destination in Philippines. Admissions to Top Universities in Philippines with guidance at each step like admissions, visa, tickets, accomodation, pre departure to post arrival all services. Tacloban City, Eastern Visayas About Blog A mom of soon to be two lovely kids, financial analyst by profession and writer behind this blog. Here at Mom’s Shout Out, I love sharing Inspiring Shouts about kids educational activities, careers, parenting and much more. Philippines About Blog Sha Nacino is an author, speaker, and blogger. She took her Bachelor of Science in Business Economics in University of the Philippines, Diliman. Sha is the founder of the Philippines HR Newsletter, a bi-monthly newsletter that aims to inspire and take care of the HR professionals in the Philippines. Facebook fans n/a. Twitter followers 563. About Blog I have been a wife to Gilbert Simpao for 20 years, a mom for 16 years and a homeschooler for 13 years. Home is my workplace but recently God has been opening doors so I can reach out to others through parenting and homeschooling seminars, and now through social media and hopefully this blog. 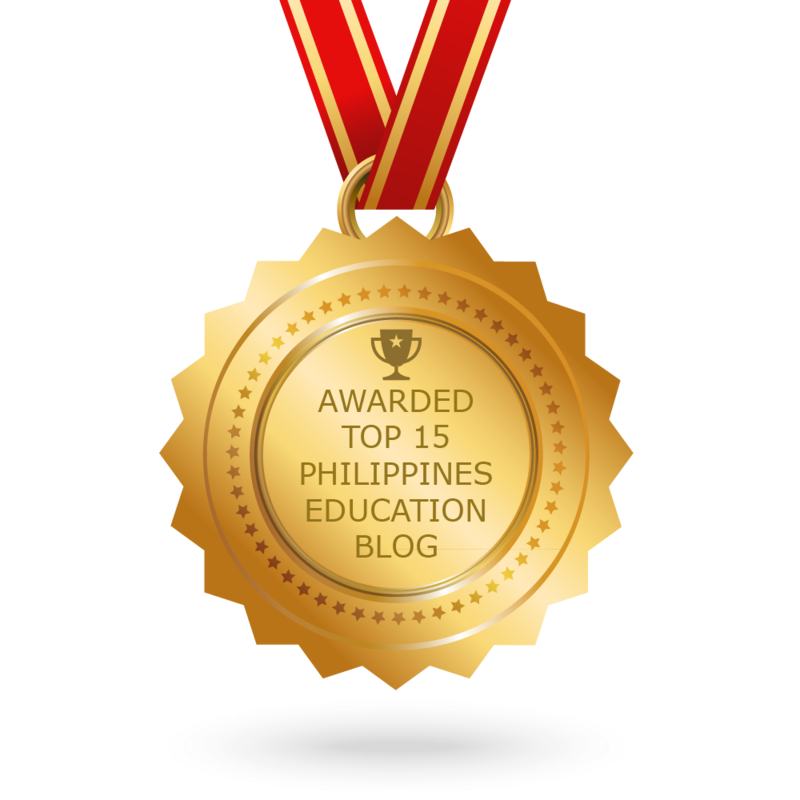 CONGRATULATIONS to every blogger that has made this Top Philippines Education Blogs list! This is the most comprehensive list of best Philippines Education blogs on the internet and I’m honoured to have you as part of this! I personally give you a high-five and want to thank you for your contribution to this world.